In 2004, At The Age Of Forty-Eight, Dr. Dave Hnida, a family physician from Littleton, Colorado, volunteered to be deployed to Iraq and spent a tour of duty as a battalion surgeon with a combat unit. In 2007, he went back—this time as a trauma chief at one of the busiest Combat Support Hospitals (Csh) during the Surge. In an environment that was nothing less than a modern-day M*A*S*H, the doctors’ main objective was simple: Get ’em in, get ’em out. The only Csh staffed by reservists— who tended to be older, more-experienced doctors disdainful of authority—the 399th soon became a medevac destination of choice because of its high survival rate, an astounding 98 percent. 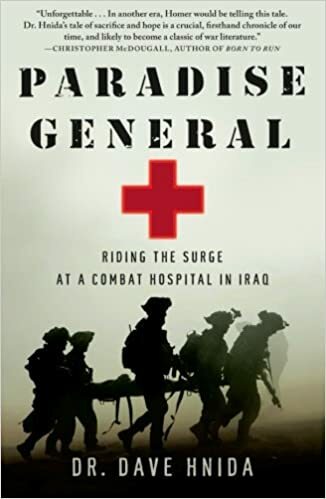 This was fast-food medicine at its best: working in a series of tents connected to the occasional run-down building, Dr. Hnida and his fellow doctors raced to keep the wounded alive until they could be airlifted out of Iraq for more extensive repairs. Here the Hippocratic Oath superseded that of the pledge to Uncle Sam; if you got the red-carpet helicopter ride, his team took care of you, no questions asked. On one stretcher there might be a critically injured American soldier while three feet away lay the insurgent, shot in the head, who planted the Ied that inflicted those wounds.